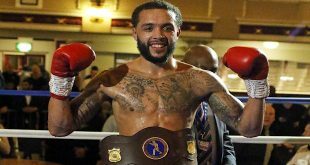 It was a bumper weekend of boxing for Steve Wood of VIP Boxing Promotions - with two shows at the Victoria Warehouse in Manchester. 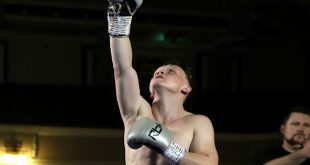 On Friday night, Ruthless Ryan Doyle of Gorton, Manchester, won his Super-Featherweight contest when opponent Tamas Laska of Budapest, Hungary, retired with an injured hand in round two. There were wins for all eight home boxers including Jordan Thompson of Manchester who felled Florians Strupits of Latvia via Ukraine twice in the second frame to win by TKO round two. 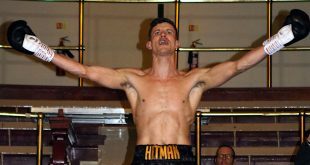 Saturday night headlined the Final Eliminator for the British Cruiserweight Title between Matty Askin of Blackpool and Tommy McCarthy of Belfast, Northern Ireland. It was a cagey start from both men but Askin scored two knockdowns in the fourth round which changed the tempo of the fight. 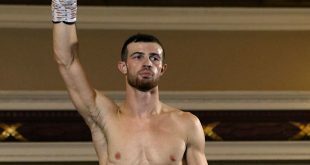 McCarthy recovered well and – swinging in big rights – provided Askin with a challenging contest, but it was the Blackpool man who won on points 117-110, 116-111, 116-111 and goes on to face Craig Kennedy for the British Title. Smiley Dusary wins by TKO Round 4 in his second pro bow.